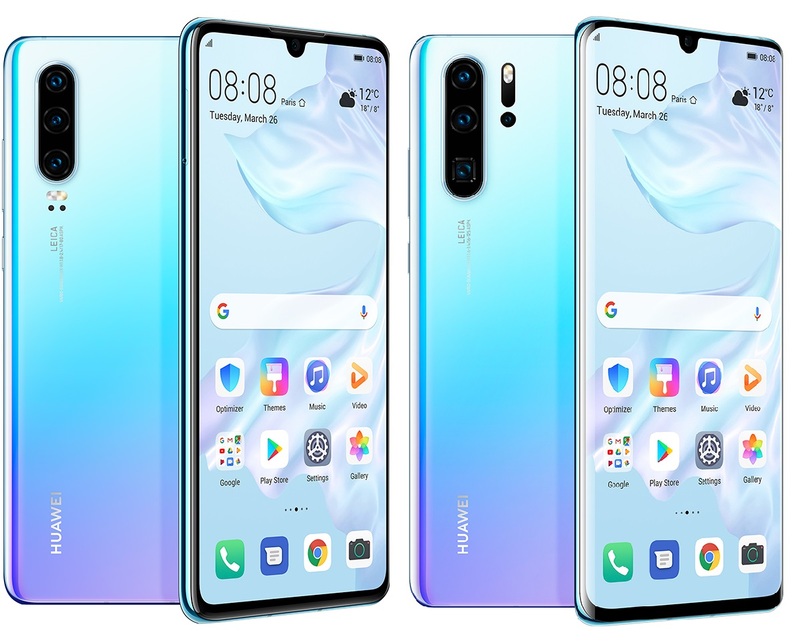 Huawei P30 (Left) and P30 Pro (Right)Huawei’s P20 series phones were considered as the best in class during their time, as they introduced a number of firsts, a triple camera system being one of the most notable. And today, they’ve raised the bar once more by re-writing the rules. Welcome the new Huawei P30 and P30 Pro. Both phones sport a beautiful gradient finish. Theirnotched HDR OLED displays now make use of curved sides, like the Mate 20 Pro. Huawei has also gotten rid of the earpiece, in favor of the screen with Acoustic Display Technology. For the screen sizes, it’s 6.1-inches on the P30, and 6.47-inches on the P30 Pro. Huawei has chosen to stick to FHD+ resolution and an in-display fingerprint scanner (which is now 30% faster) for both. At the helm of the P30 and P30 Pro is the 7nm Kirin 980. The P30 has 6GB of RAM, while the P30 Pro has 8GB. You get 128GB of storage on the former, and up to 512GB on the latter. Now for the highlight – the Huawei P30 Pro boasts a Leica Quad Camera system, which makes use of a 40MP main sensor, a periscope telephoto lens, an ultra-wide angle shooter, and a ToF camera. This combination gives the device up to 10x Hybrid Zoom and 50x Digital Zoom. Both the main and telephoto sensors are also augmented with OIS. The P30 on the other hand, retains the triple camera setup. Both are equipped with a 32MP front camera. Huawei has also bumped up its low-light capabilities with Super High ISO (409,600 on the P30 Pro), allowing you to capture moments with great detail, even in extremely dark situations. Low light video recording has also been significantly improved. The Huawei P30 is priced at 799 Euros for the 6GB + 128GB variant. The P30 Pro on the other hand, will retail at 999 Euros for the 8GB + 128GB variant, 1099 Euros for the 8GB + 256GB variant, and 1249 Euros for the 8GB + 512GB variant.